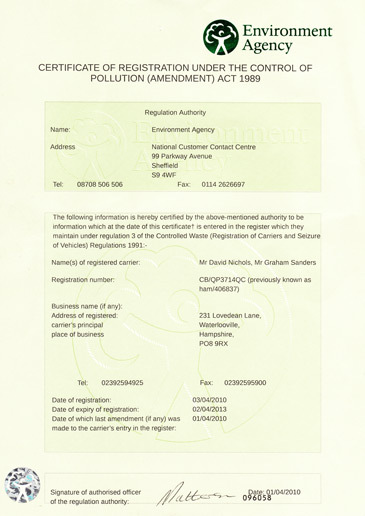 Established since 1986 we are licensed as follows..
We are registered with the Environment Agency under the control of Pollution Act. 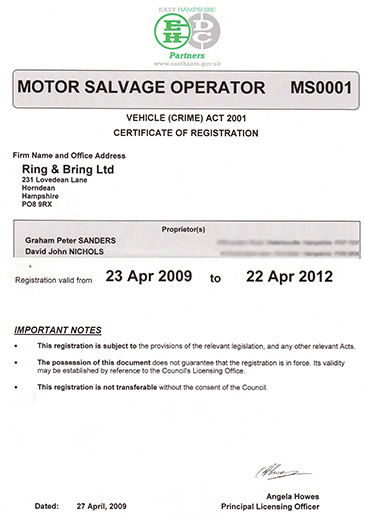 We are registered as a Motor Salvage Operator with the East Hampshire District Council. 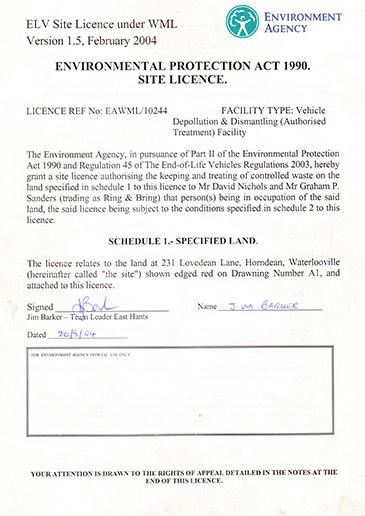 Our site is an Approved Treatment Facility registered with the Environment Agency under the Environment Protection Act. 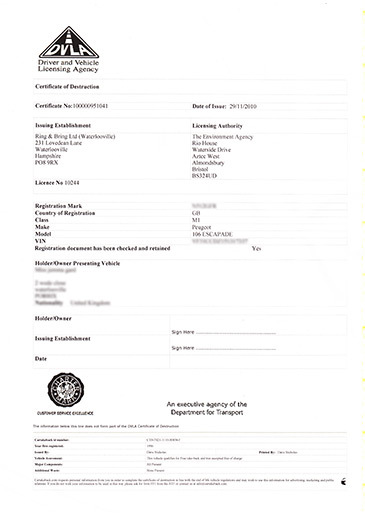 This is an example of a Certificate of Destruction it can be presented to the authorities in the event of a rogue motoring offence or parking violation.